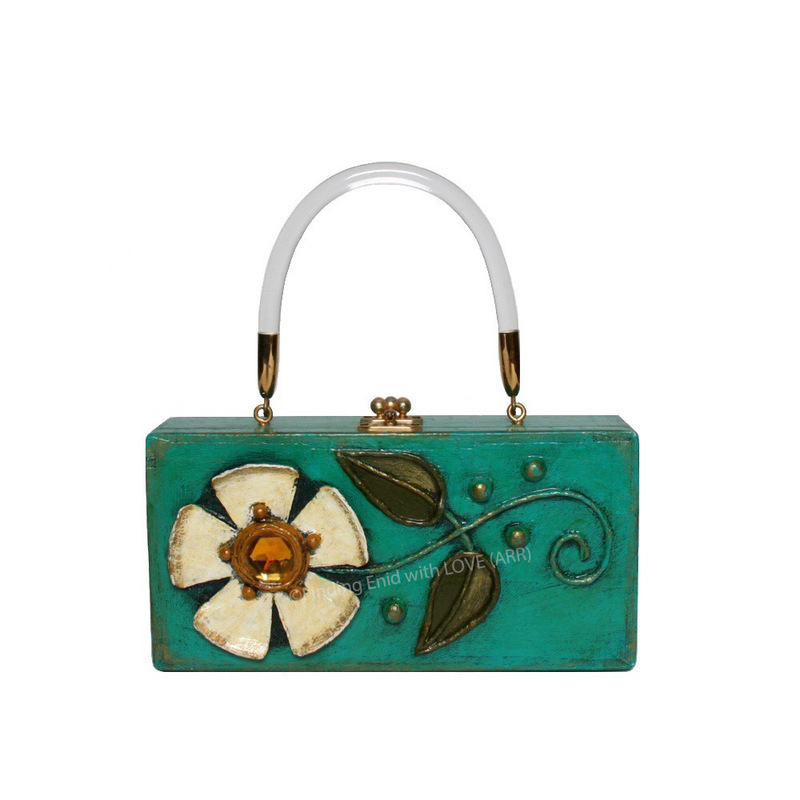 Box purse of solid wood painted in antiqued turquoise with touches of metallic gold. Decorated with a papier mâché flower in antiqued white and yellow-orange, with a large faux-amber stone in its center. Leaves a deep olive. Small, round metallic-gold embellishments. White vinyl handle.